Below you fill find all funeral homes and cemeteries in or near Baudette. Suburbs of Baudette: Border, Carp, Clementson, Hackett, Pitt, Spooner. Baudette is also known as: Lake of the Woods County / Baudette city. Zip codes in the city: 56623. Lake of the Woods County funeral flowers can be purchased from one of the local funeral shops we partner with. Some of the notable people born here have been: Keith Ballard (ice hockey player). Baudette is a city and county seat of Lake of the Woods County, Minnesota, United States. The population was 1,106 at the 2010 census. It is known as the Walleye Capital of the World. It was revealed on August 26th, 2018 that Daniel V Hiscox perished in Baudette, Minnesota. Hiscox was 87 years old and was born in Sioux Falls, SD. Send flowers to express your sympathy and honor Daniel V's life. It was revealed by Register Guard on January 14th, 2018 that May Violet Chilgren perished in Junction City, Oregon. Chilgren was 92 years old and was born in Baudette, MN. Send flowers to express your sympathy and honor May Violet's life. It was noted by The Herald on November 11th, 2015 that Kathleen Ann "Kay" McDonald passed on in Kirkland, Washington. McDonald was 74 years old and was born in Baudette, MN. Send flowers to share your condolences and honor Kathleen Ann "Kay"'s life. It was reported by Flint Journal on November 7th, 2015 that Fritz Kenas died in Clio, Michigan. Kenas was 97 years old and was born in Baudette, MN. Send flowers to share your condolences and honor Fritz's life. It was written by Orange County Register on September 16th, 2015 that Bernard James Dr O'Loughlin passed away in Newport Beach, California. O'Loughlin was 100 years old and was born in Baudette, MN. Send flowers to express your sorrow and honor Bernard James Dr's life. It was noted on June 19th, 2015 that Mary B Bohn passed away in Baudette, Minnesota. Bohn was 53 years old. Send flowers to express your sorrow and honor Mary B's life. It was revealed on March 3rd, 2015 that Helen Cook died in Baudette, Minnesota. Send flowers to express your sympathy and honor Helen's life. It was disclosed on February 14th, 2015 that Lyle J Wiskow passed on in Baudette, Minnesota. Wiskow was 83 years old. Send flowers to share your condolences and honor Lyle J's life. It was noted on February 7th, 2015 that Carlyle D Slick died in Baudette, Minnesota. Slick was 93 years old. Send flowers to express your sorrow and honor Carlyle D's life. It was disclosed by Des Moines Register on December 4th, 2014 that Reed Erickson passed away in Johnston, Iowa. Erickson was 59 years old and was born in Baudette, MN. Send flowers to share your condolences and honor Reed's life. The population was 1,104 at the 2000 United States Census census. Baudette is a city in Lake of the Woods County, Minnesota of the Woods County, Minnesota, United States. 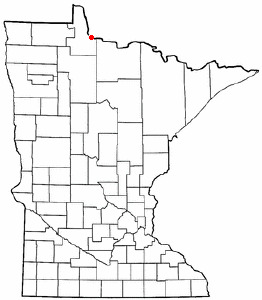 It is the county seat of Lake of the Woods County, Minnesota of the Woods County . . . The official website for the city of Baudette is http://www.ci.baudette.mn.us/. The visitation was Wednesday, Oct. 27, from 4-8 p.m., prayer service 7:30 p.m. at the Bertas Funeral Home, Chaska ... He was employed at Wood Masters Inc. in Eagan, MN for 32 years as a cabinetmaker and owned a hobby farm in Carver from 1978 until 2002. Bob was born June 29, 1931, in Baudette ... Interment will be in the Minnesota State Veterans Cemetery, Little Falls, Minn., following a light lunch at the church. Arrangements with Benson Funeral Home, St. Cloud, Minn.
Find funeral directors & Funeral Directors in Baudette, MN. Read business reviews, find driving directions, and more. funeral directors on YELLOWPAGES.COM. The finest roses, gifts and Mother's Day flowers delivered fresh. Serving Baudette, Minnesota, surrounding suburbs and the entire country. We work with local florists and flower shops to offer same day delivery. You will find budget sympathy flowers in Baudette here. Our funeral flowers are cheap in price but not in value.